The automotive industry is a vital part of the UK economy accounting for more than £82 billion turnover and £20.2 billion value added. With some 186,000 people employed directly in manufacturing and in excess of 856,000 across the wider automotive industry, it accounts for 12.0% of total UK export of goods and invests £3.65 billion each year in automotive R&D. 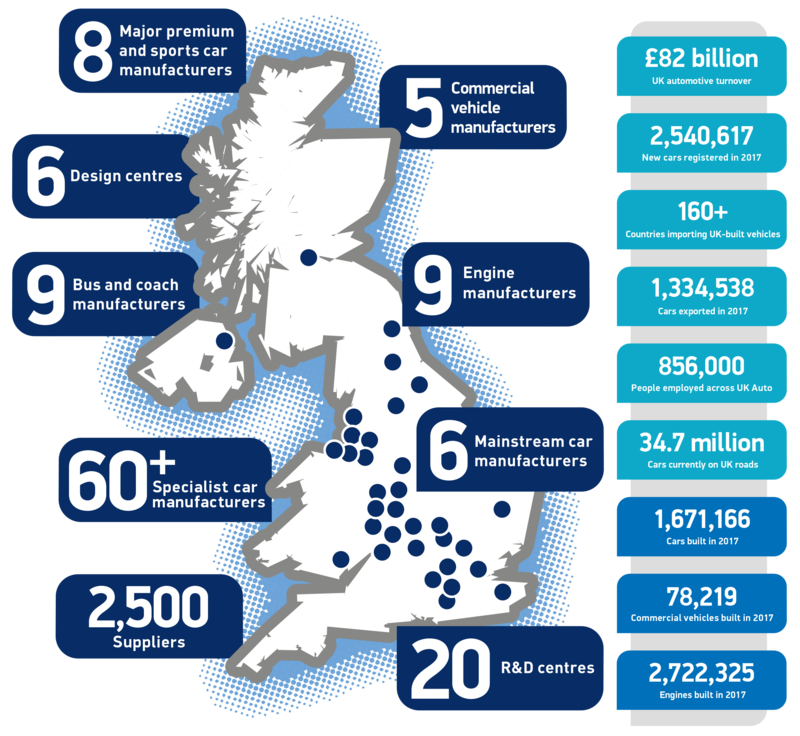 More than 30 manufacturers build in excess of 70 models of vehicle in the UK supported by 2,500 component providers and some of the world’s most skilled engineers. 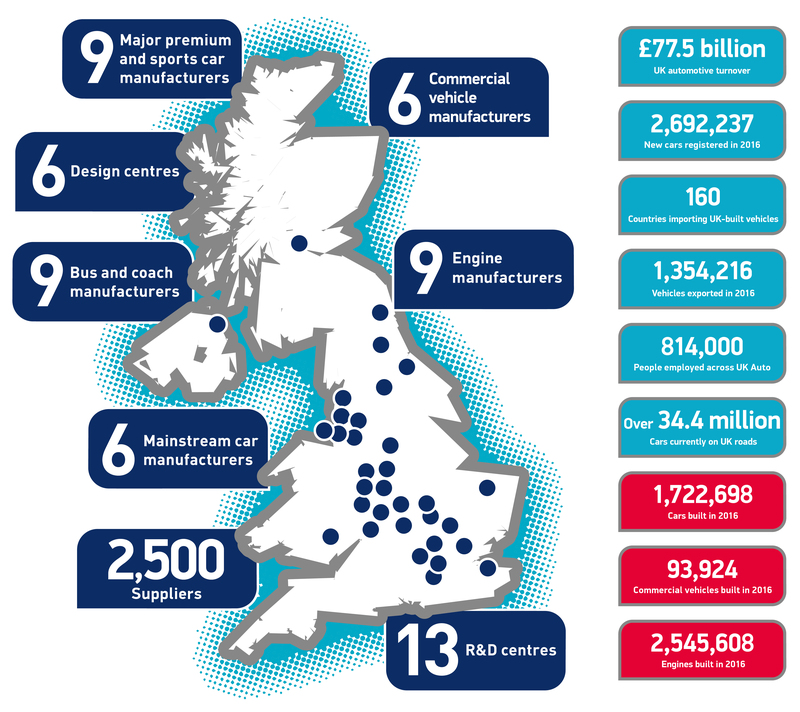 For more information on UK automotive, download our Motor Industry Facts booklet.